Carlsberg's Belgian craft beer brand Grimbergen will pop up in The Vaults beneath London's Waterloo station next week (24-25 September) with a historic pop-up bar. The beer’s 887-year heritage will be celebrated by taking visitors back in time to Belgium in the 12th century. The venue will be themed in the style of the Benelux Grimbergen Abbey, where the drink was first brewed. The pop-up will be open from 6-11pm on both nights. 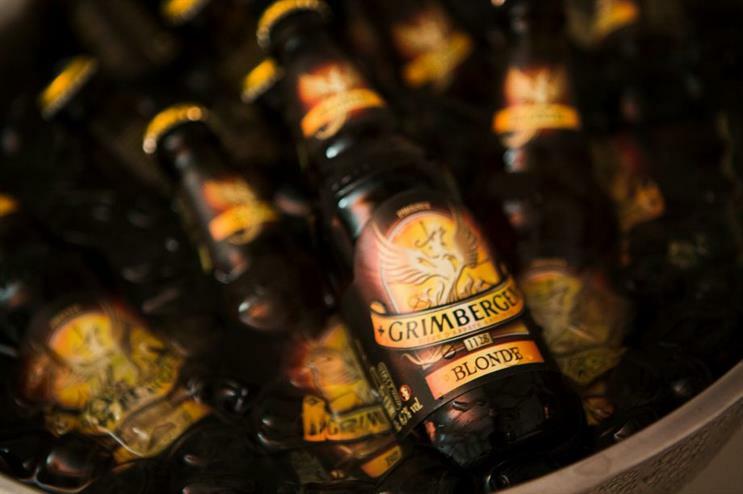 Guests will be offered a complimentary half pint of Grimbergen Blonde on arrival, and provided with a goody bag comprising a branded glass and a bottle of the beer. Vintage band The Retrosettes and rock ‘n’ roll four-piece High Jives will perform live music sets. The event will be delivered by agency Pablo, with media agency OMD supporting pre-activity promotion. Carlsberg has stated the pop-up will be just the first in a programme of consumer activities for Grimbergen, which are set to take place throughout 2016. David Scott, director of brands and insight at Carlsberg UK said: "Grimbergen has a fascinating story to tell and the new pop-up provides the perfect platform for London’s craft-lovers to come along and try, enjoy and savour Grimbergen Blonde. "We have big plans for Grimbergen, and can’t wait to introduce new drinkers to the brand at The Vaults - an impressive, atmospheric venue that is an ideal match for a brand with such character."